. 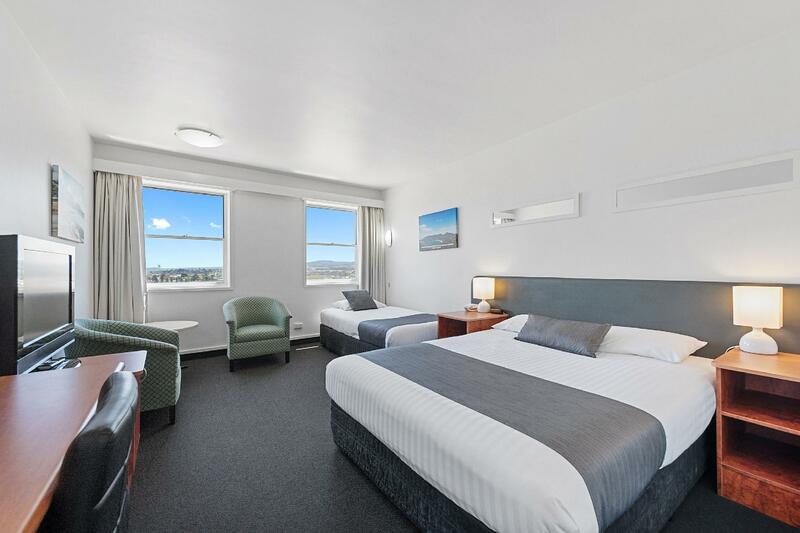 يعرف Choice Hotels بالمستوى الراقي لخدماته ولباقة موظفيه، وهذا ما ستجده في Comfort Inn Coach House Launceston. يقدم هذا الفندق العديد من الخدمات الكفيلة بإرضاء أكثر الضيوف تطلباً. في الفندق غرف نوم يتجاوز عددها 31، كلها مجهزة بعناية وجمال وبعضها مزود بـ تلفزيون بشاشة مسطحة, مرحاض إضافي, سجاد, قهوة فورية مجانية, شاي مجاني. كما أن مجموعة الخدمات الواسعة الموجودة في الفندق لضمان راحتك تترك لك الكثير من الخيارات لقضاء وقتك أثناء فترة إقامتك. 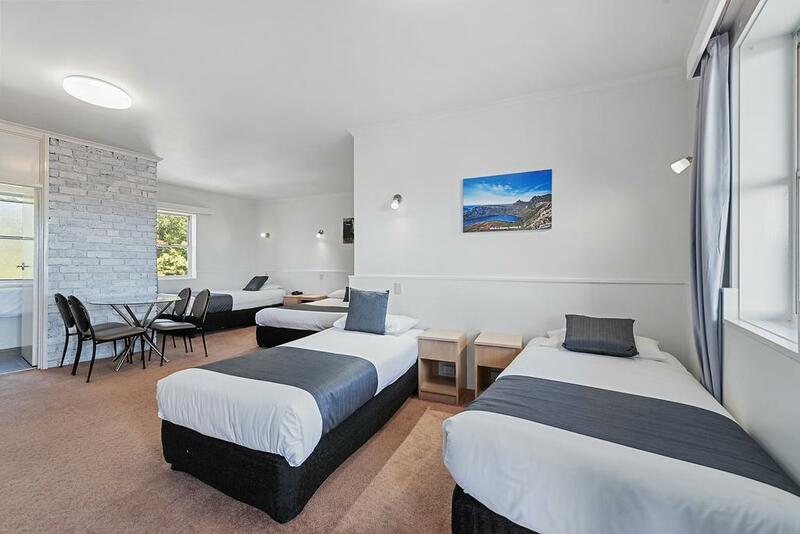 يشكل Comfort Inn Coach House Launceston بخدماته الراقية وموقعه الممتاز، قاعدة مثالية للاستمتاع بإقامتك في المدينة. The location was perfect. View of the city and surrounding suburbs stu.ning. Room was clean and had been updated. Separate toilet was good. Bathroom was small but clean. Beds were comfortable. Could hear noise from other rooms. I had bad experience with this hotel to charge me double money for the room upon arrival, although i declaration i already paid when i booked this hotel through Agoda but the staff insist i didn't pay for it and charged me from my card, after i show the "PAID" hotel voucher he only say that he may make a mistake, what kind of service is this??? if i didn't bring my hotel voucher then how? still charge me twice for the money???? You don't have record at all or do this on purposely ??? The most outstanding point of this hotel is its staff. They are warm and helpful. The hotel is basic yet it has all the necessities. The hotel has no lifts. This was a place to stay the night when we landed in Tassie. I was born in Launceston and love Tasmania. There is one big but about the place, most accommodation is old and needs upgrading. I travel a lot and I know Tasmania is promoting tourism. Accommodation is well below what people expect and over priced and at a lot of places difficult to find. As a State it needs to move on. Hotel is located on a very steep slope and it is super tiring to climb with the luggages. Quiet area & not much street lights.. Bottled water is not free. You need to pay for it. Room is big & there are flies in the rooms. My room was quiet, clean and comfortable. The towels fluffy. The staff are very friendly and efficient. You are given a print out of the local restaurants that either offer dine in, take away or delivery options. I would stay again and highly recommend the Coach House to any prospective traveller to Launceston. 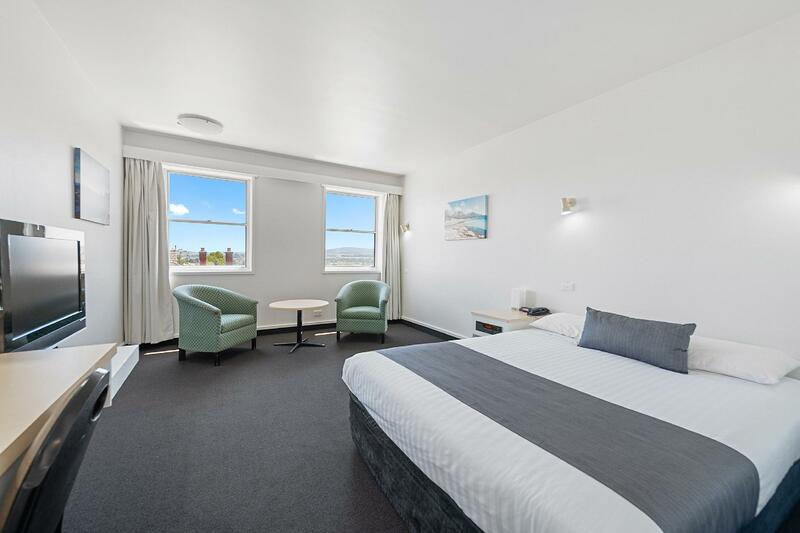 This will be my new favourite place to stay when I visit Launceston. The receptionist immediately made me feel welcome, and checking in relatively early in the day was not an issue at all. There is nice, convenient, and secure parking. The view was an added bonus! The BED ..most uncomfortable. Laying on springs. Trouble finding PowerPoint for kettle. Had to move microwave. Why oh why do showers over baths still exist ? Owners & staff very helpful & wonderful. The room we stayed at was big and clean, with a jacuzzi. It is quite conveniently located, yet walking uphill after a full day activities can be strenuous. Proximity to town centre. Management very helpful. Clean and well set out. An ideal position to do all the local tourist attractions, with excellent help from managers of motel. Very comfortable room, parking outside door enabled us to do what we wanted very easily. Highly recommended. Top floor views across Launceston were great. The room was spacious and clean. Short walk to the town center and botanic gardens. Our stay was very good for the purpose of our visit to tasmania. Our thoughts on the bed. It was a little hard as were the pillows. The service and staff were great.